With this functionality we connect conversational AI with robotic process automation, creating a seamless experience between conversations and the case resolution process." 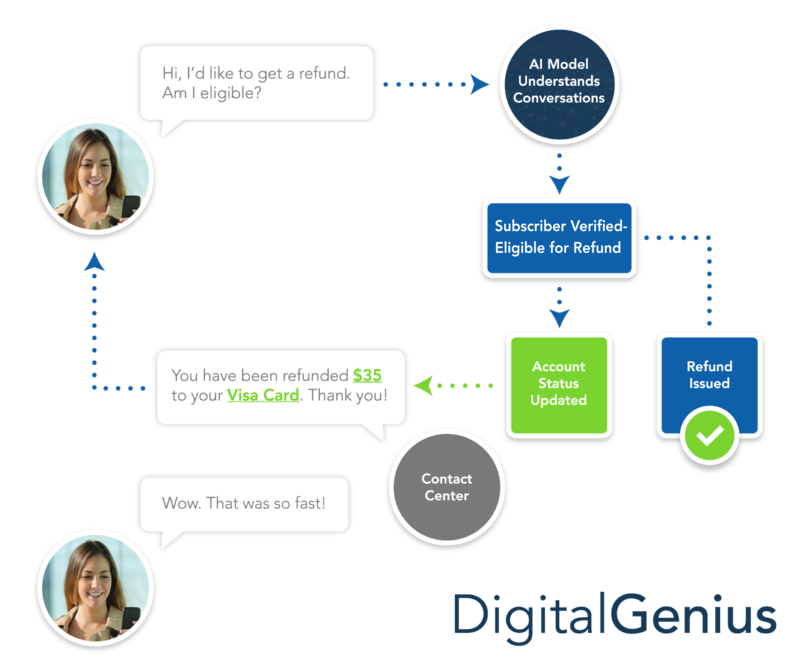 DigitalGenius is the AI platform that puts your contact center on autopilot by understanding conversations, automating repetitive processes and delighting your customers. The platform is powered by deep learning that understands your customers’ objectives, then drives automated resolutions through APIs that connect seamlessly to your own backend systems. This is the practical application of AI that delivers the concrete ROI you’ve been waiting for. The DigitalGenius AI platform is used by KLM Royal Dutch Airlines, Uber, Air France and other forward-looking businesses to drive conversational process automation through the use of deep learning. Learn more about how it works at digitalgenius.com.